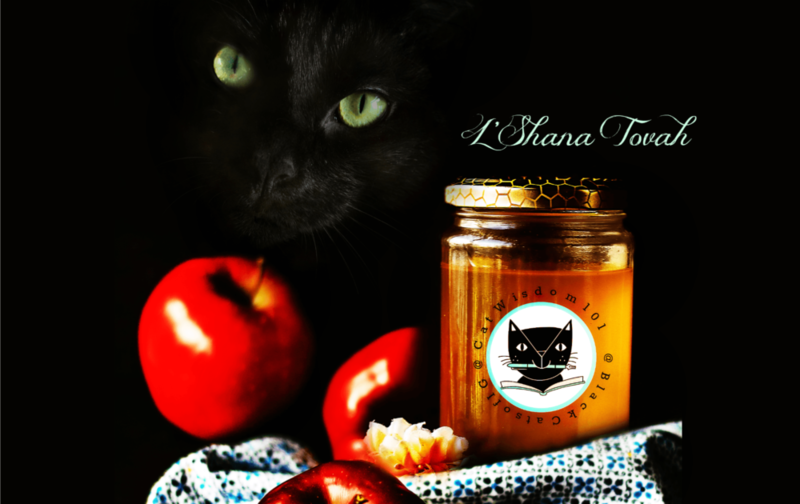 Shana Tovah to our Jewish friends and readers. 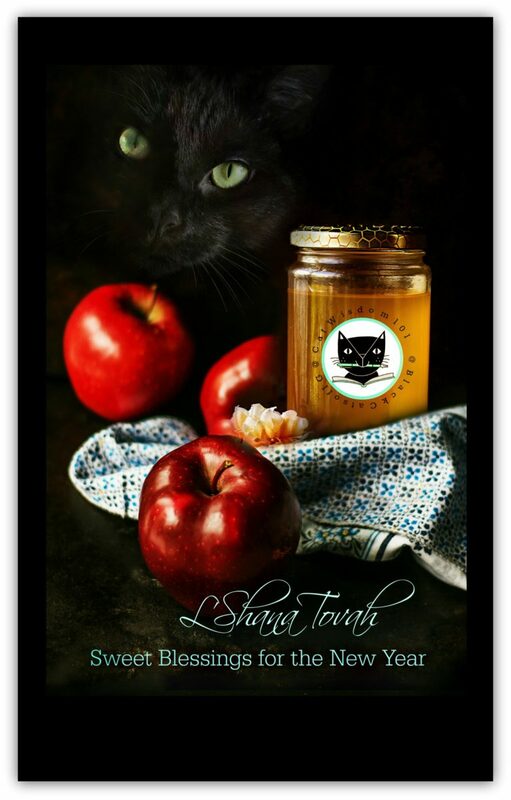 My hubby is Jewish and we’re celebrating a black cat Rosh Hashanah with three shareable cards sized for Facebook, Twitter, Google+, Instagram and a nice vertical for Pinterest. Read everything you need to know about the Jewish New Year especially if you’re not Jewish or want to share our unique kitty cards. 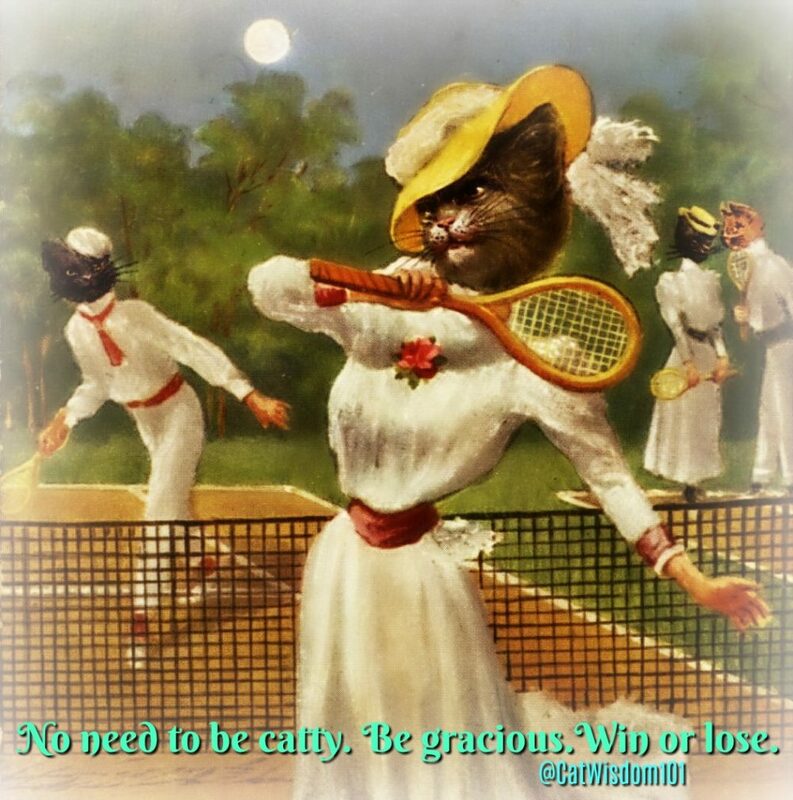 Plus scroll down for a bonus kitty card for tennis fans and Naomi Osaka fan love. #1 Do not say happy New Year but Shayna Tovah (pronounced with the accent on the last syllable Shah-NAH to-VAH) It’s literally a translation of Rosh Hashanah. A longer more formal greeting would be le-shanah tovah tikatevu (teekatevoo): May you be inscribed for a good year (i. e. written into the book of Life). This is our second post today. 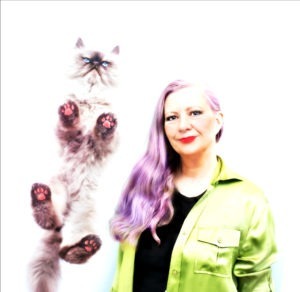 In case you missed it, find out Pet Memorial Day some really, really old pics of me and cats and why we’re not adopting any more cats. The Jewish high holy days are a time of self-reflection, to examine one’s behavior over the past gear and atone for hurting anyone. It’s an exercise useful to anyone regardless of spiritual beliefs. No one is perfect but we can strive to be kinder or better sports in the game of life. 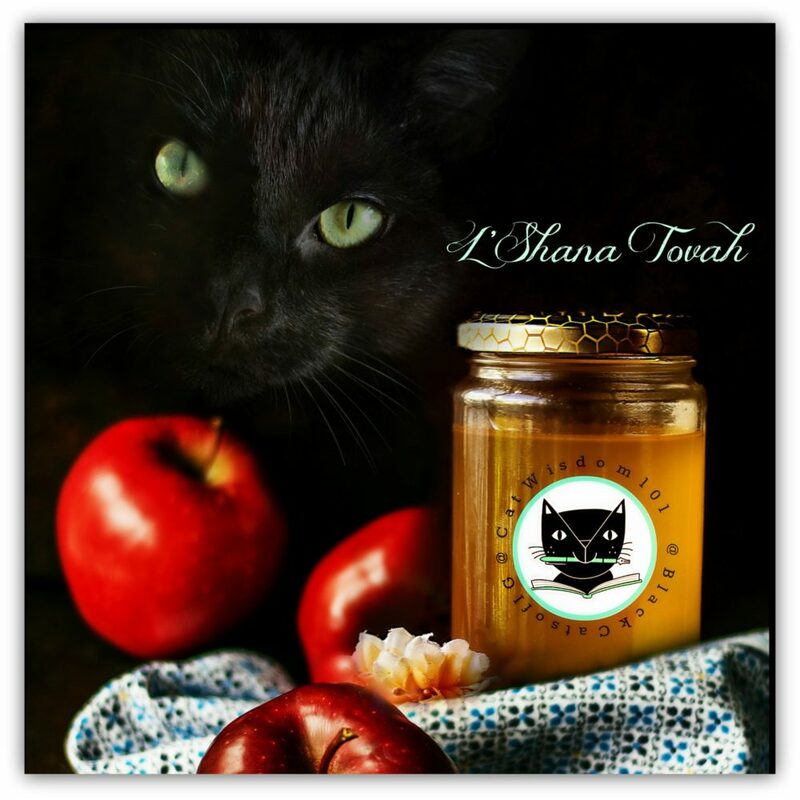 Shana Tova may your year be as sweet as you and your cats! Am wicked confused by this new format. Too many choices. Can we have just one? Back the way it was? I just want to see what is on the menu for today, without a lot of other banners. L’Shanah Tova! I love the black cat cards. We love the cards, not so much many of the “celebrities “(celeBRATies) today. Concats to Naomi Osaka on her well deserved and earned win!!! We all need to reflect and atone for many things.